Attention: The NEHA E-Learning Courses have moved to a new location. 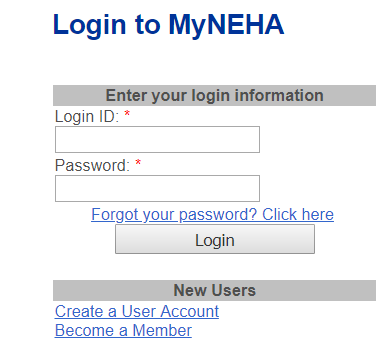 Users can use their current MyNEHA login credentials to log in to the platform, meaning you only need to remember one username and password! Please visit NEHA E-Learning Online Courses to register for courses on NEHA’s new learning management platform. Complete the checkout process by clicking the green “Checkout” button in the Shopping Cart section on the right side of the page. 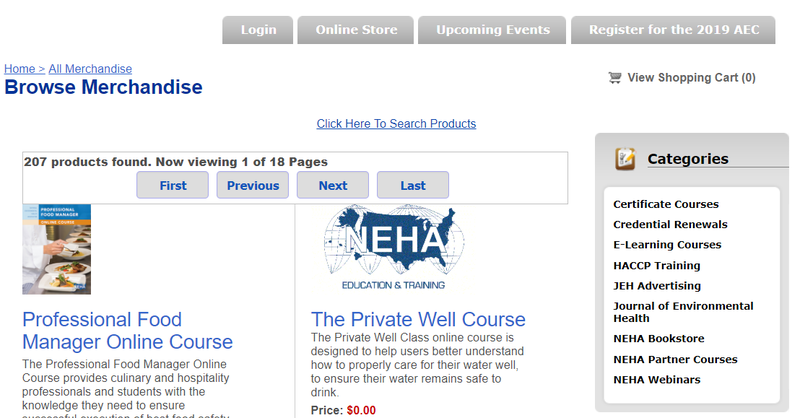 All courses are free to NEHA members and require no payment. Nonmembers may be required to pay a fee to access the courses.